During the month of November we remember those in our lives who have passed away. Fox Funeral Home has arranged to have a Memorial Mass celebrated here at Our Lady Queen of Martyrs Church for the specific intentions of those who passed on this last year. We hope you will attend and that you will be spiritually uplifted. During this Mass we will invite you to light a candle in their memory. Saturday, November 7, 2015 at 10:30 a.m.
We are also remembering all those who we buried here at our church during the last five years through a reading of their names, in alphabetical order, at the Masses starting on November 2. We pray for our own beloved family members who have died and remember those who have no one to pray for them. November is also a time to visit the graves of our loved ones and pray for them at the site of their resting place. 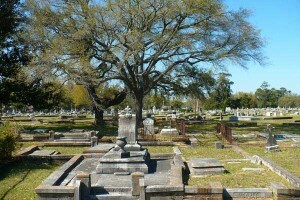 The Catholic Cemeteries office can assist us in choosing a gravesite or crypt where we would like to be buried. 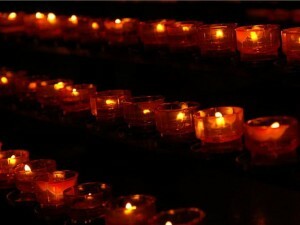 Contact Catholic Cemeteries by calling 718-894-4888 or going to www.ccbklyn.org. It is also time to remember that the cremains of our loved ones deserve a final resting place. Cremated remains of a body should be treated with the same respect given to the human body from which they come. Read this Catholics & Cremation Q & A. Let eternal rest grant unto them, O Lord, and let perpetual light shine upon them. May they rest in peace; may they and all the faithful departed, rest in peace. Amen.